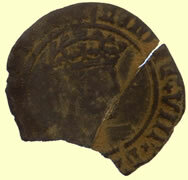 In 1502, Henry VIII became heir to the English throne. 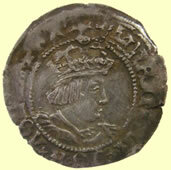 Seven years later he was crowned King of England and quickly married to his dead brother's widow, Catherine of Aragon. 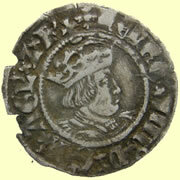 Although Henry himself was no soldier he found success with Wolsey who organised the first French campaign and proved to be an outstanding minister. 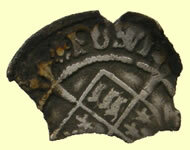 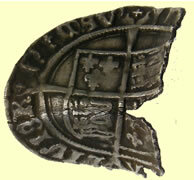 Defeat of the Scots at Flodden in 1513 added a feather to Henry's cap. 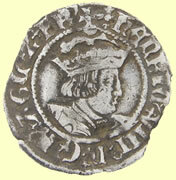 However, battle with France ultimately proved expensive and unsuccessful and Wolsey's ascendancy was cut short by Henry's need for a male heir and hence separation from Catherine of Aragon. 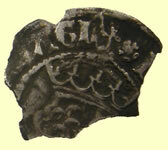 This was achieved in 1533 against Catherine's wishes, leaving Henry free to marry Anne Boleyn. 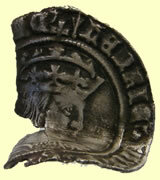 The king's primary pursuit was an heir to the throne and it set in motion radical ecclesiastical change. 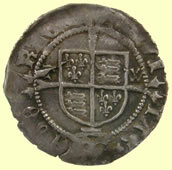 With the help of Wolsey's replacement, Thomas Cromwell, Henry established himself as head of the Church of England and ordered the Dissolution of the Monasteries. 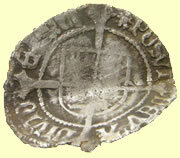 Other reforms - such as the creation of the Council of the North and the Household and Exchequer - were also instigated during the 1530s. 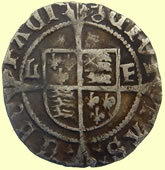 Within three years he had tired of Anne Boleyn and she was beheaded in 1536, accused of treason and adultery. 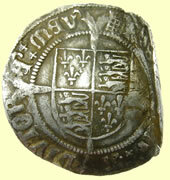 Jane Seymour became queen and in 1537 produced an heir, Edward VI, who cost Jane her life and proved a sickly child. 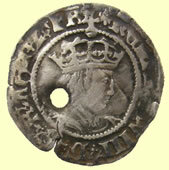 Henry's rule was at times merciless and his suppression of dissidents was brutal. 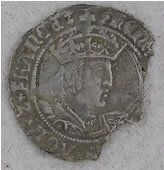 But religious change was not inspired by the king's piety, far from it; Henry's obsession was with power and the security of the throne and although the need for divorce tested Henry's allegiance to the Pope, a conversion to Protestantism was never a real prospect. 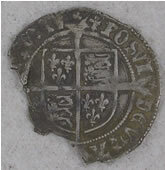 Cromwell fell victim to this when in 1540 - after a fated alliance with the Lutheran Princes and the arrangement of a marriage between the king and Anne of Cleves - conservatism claimed superiority and he too was executed. 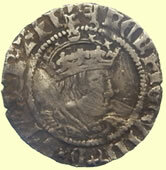 The final years of Henry's reign witnessed his physical decline and an increasing desperation to appear all-powerful. 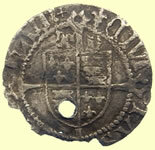 The 20-year-old Catharine Howard replaced Anne of Cleves as Henry's wife but she too faced the scaffold accused of adultery. 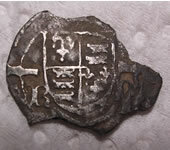 A final marriage to Catherine Parr (despite Henry's physical ruin) was more harmonious although Catherine's religious leanings proved dangerous and might have brought her to the block if it wasn't for Henry's death. 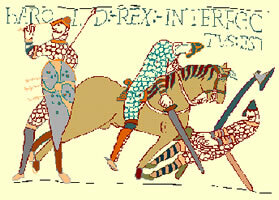 Further fruitless wars against Scotland and France emptied the coffers whilst at home the King attempted to play off the conservatives and radicals. 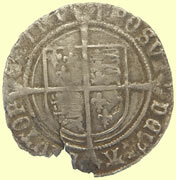 Henry's legacy was bewildering - he failed to provide clear instructions regarding the rule of Edward VI and set in motion a chaotic and relentless religious upheaval. 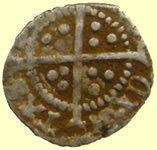 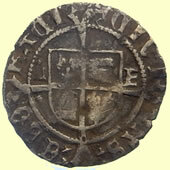 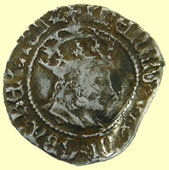 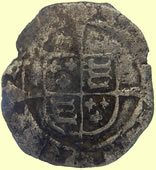 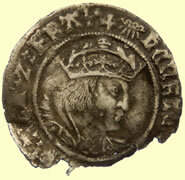 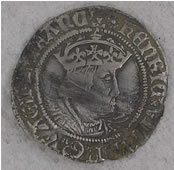 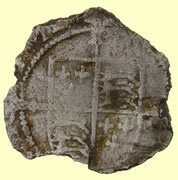 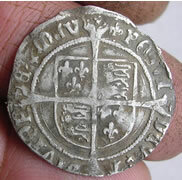 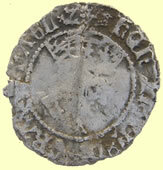 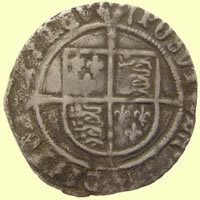 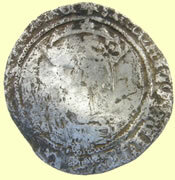 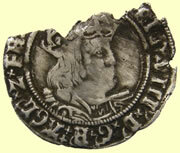 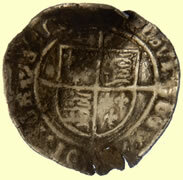 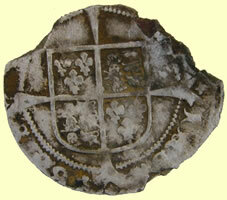 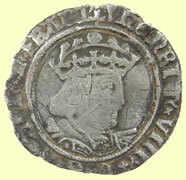 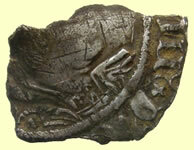 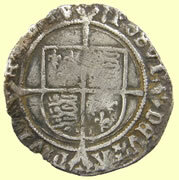 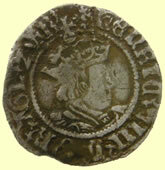 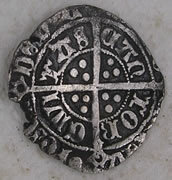 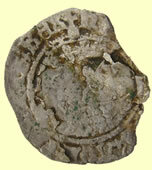 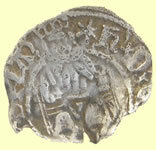 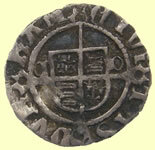 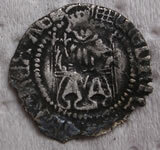 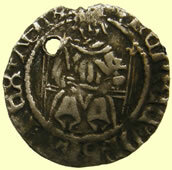 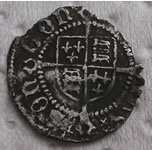 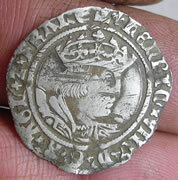 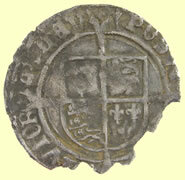 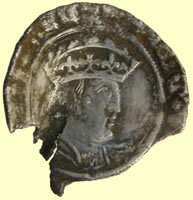 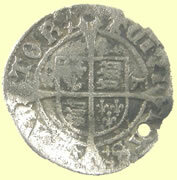 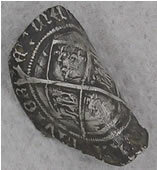 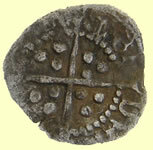 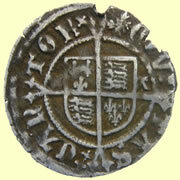 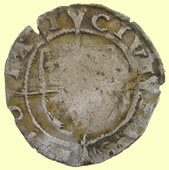 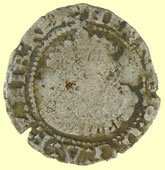 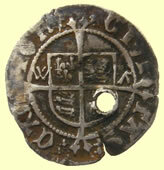 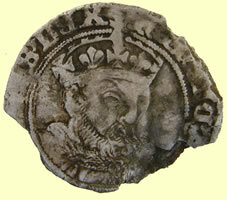 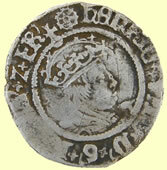 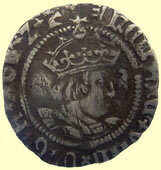 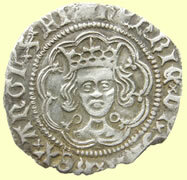 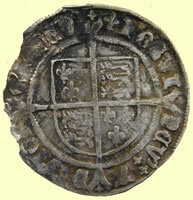 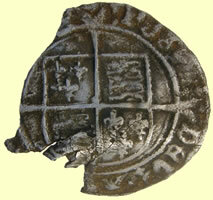 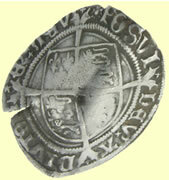 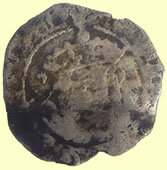 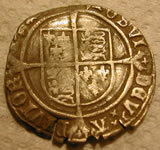 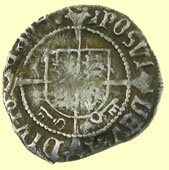 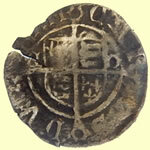 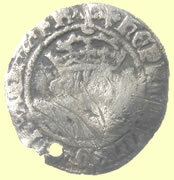 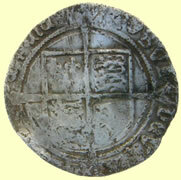 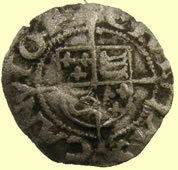 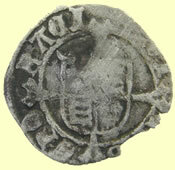 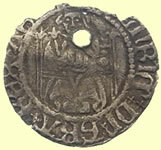 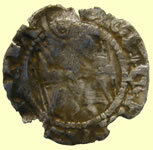 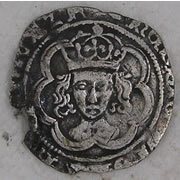 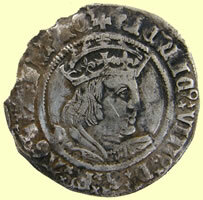 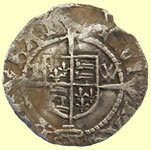 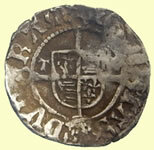 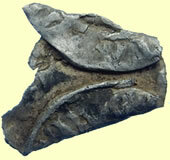 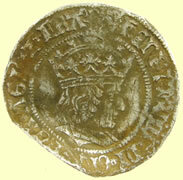 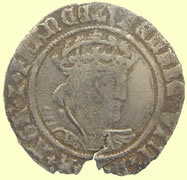 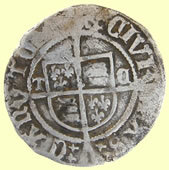 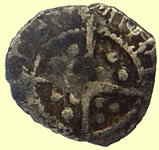 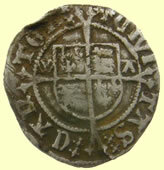 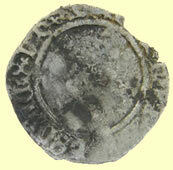 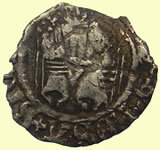 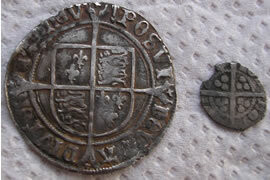 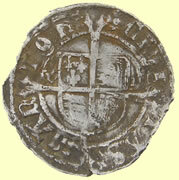 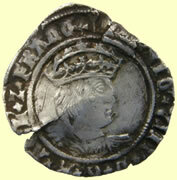 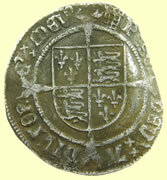 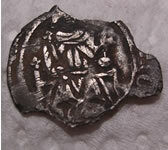 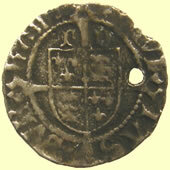 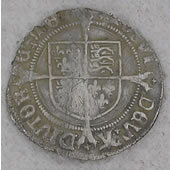 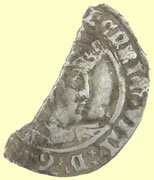 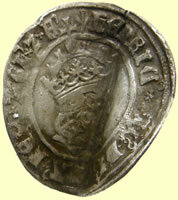 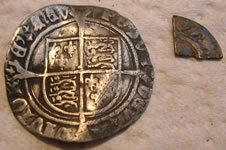 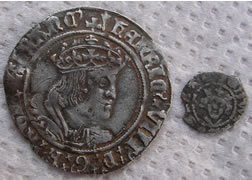 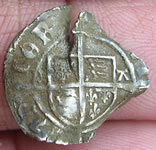 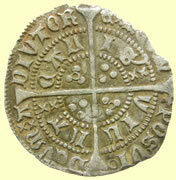 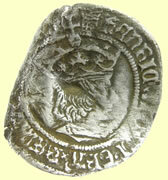 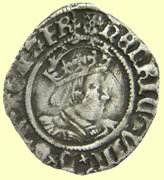 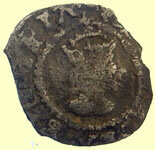 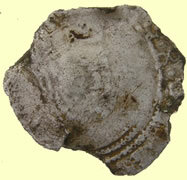 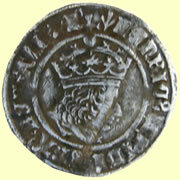 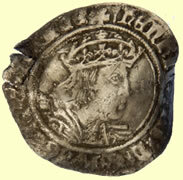 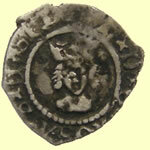 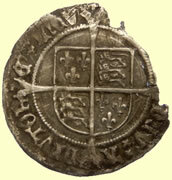 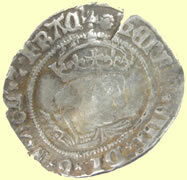 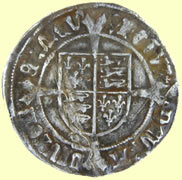 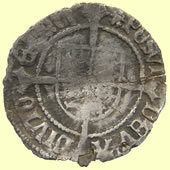 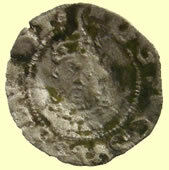 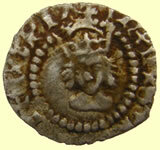 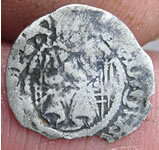 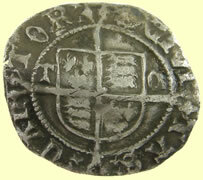 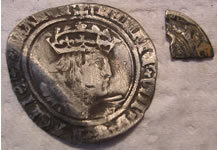 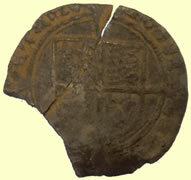 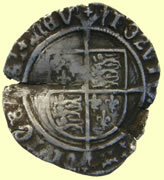 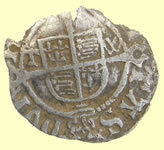 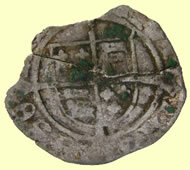 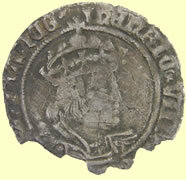 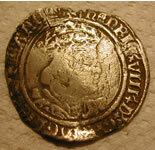 1526-44 Henry VIII hammered silver half penny- 2nd issue, brush hair - plain cross - uncertain type i.m.